Yes! 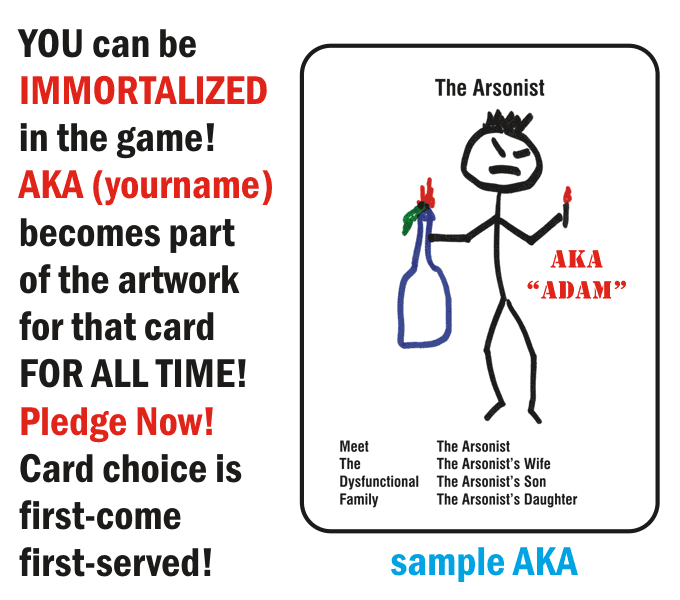 You can be IMMORTALIZED in Dysfunctional Families with your pledge for the AKA reward level on Kickstarter! Please note that the exact text on the cards is subject to change slightly between now and publication in order to improve gameplay.